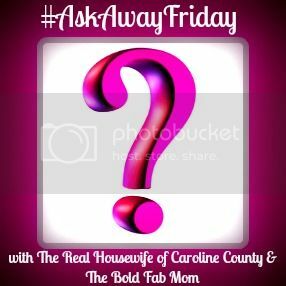 I am so honored that Wendy from Effie Girl asked me to participate in my first Ask Away Friday (AAF)! It's a great way to learn more about bloggers you already love and meet some other new extraordinary bloggers. Speaking of extraordinary bloggers, Wendy is one of them. She was one of my first Cara Box partners and we've maintained a great blog friendship ever since. The idea behind AAF is that two bloggers partner up and send 10 unique questions to one another. Their partner answers the questions and posts them on their respective blog on Friday. Hence the name Ask Away Friday! Below are the answers to the questions Wendy sent me. If you want to see the questions I sent her, you can find them here. I absolutely never have been, nor will I ever be, a morning person. So I defer to night owl. I think so but I'm still trying to find it. Have you ever "paid it forward"? Blogging, Pinterest, Twitter and then Instagram - honestly twitter and Instagram are tied. A two-door 2001 blue Honda Civic EX with a spoiler. I called her "Little Blue". What would be your 'last meal'? What word do you find yourself using the most? I believe in angels so I also believe that something exists similar in nature but different in spirit, so yes I think I do believe in ghosts. People who complain about their situation be it a job, a city they live in, or the person they're dating, but they take no steps to change the situation or their attitude. Also, people who ignore the signs for merging traffic lanes and rush in front of the patient few who've waited their turn. What movie could you watch over and over and never tire of? None. I hardly ever watch movies more than a couple times because I get bored with them. Thanks for linking up with us this week! It was great getting to know you. I hope you enjoyed Ask Away Friday & link up again next week! Brittany!!! My post never posted from my iPad. So frustrating. I bet many of them haven't on other blogs. Loved your answers, and I am definitely a night owl. 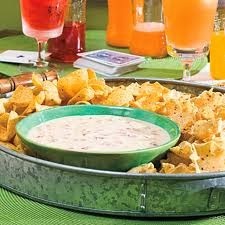 Also, chips and salsa or chips and anything and I'm a happy camper!